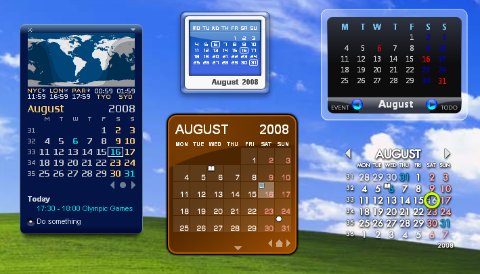 Description: It is a skinnable calendar that resides on your desktop and shows the days of the current month. You can add events and tasks to the calendar and be reminded when they occur. Rainlendar uses the standard iCalendar format to store its events and tasks so you can easily transfer them between applications. You can also download Skins to extend it or read FAQ for more info.